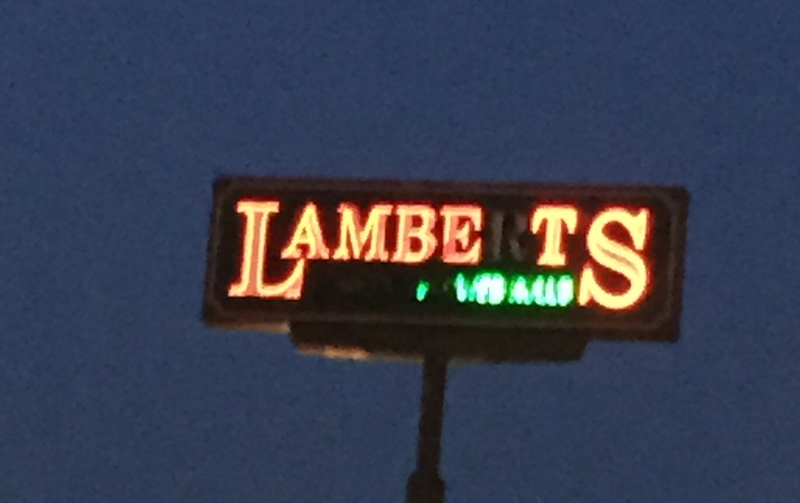 Or, actually Lambets, home of the wed rolls according to this sign. 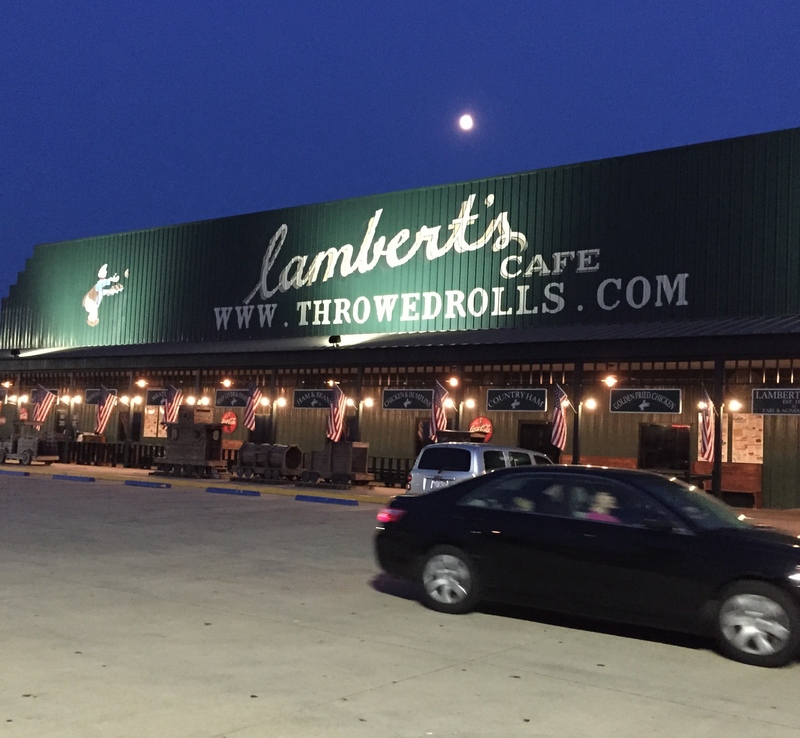 In case you’ve never heard of Lamberts – they are a place that gives you a lot of food over and above whatever you order – all the time throwing hot, fluffy, fresh-from-the-oven rolls at you. Delicious! 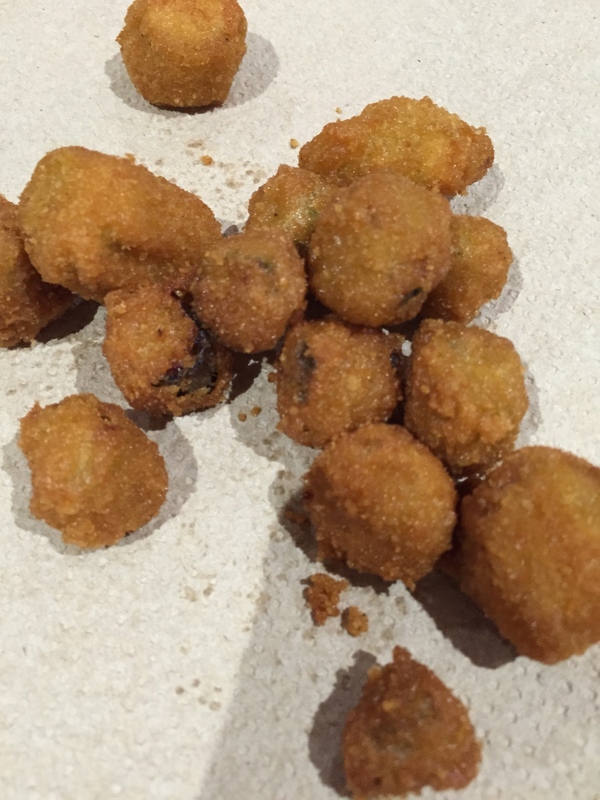 Servers wander around with the extra food – like fried okra and apple butter (not to be eater together – necessarily). So, you will not go away hungry. 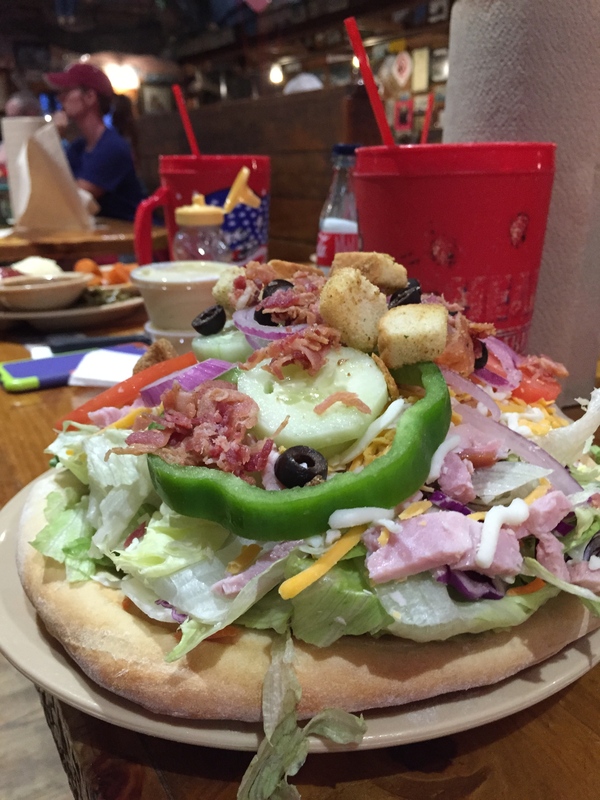 Knowing that – I ordered a salad – but whoa! That salad itself could’ve lasted me for an entire week! 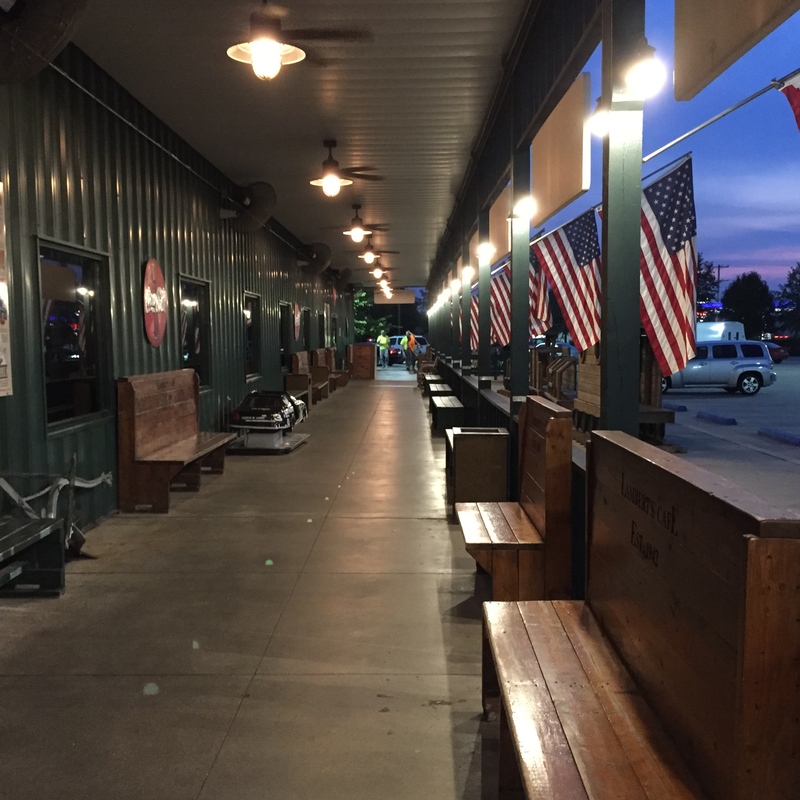 Not my favorite food in the world (though the rolls are super good) – but a fun stop.